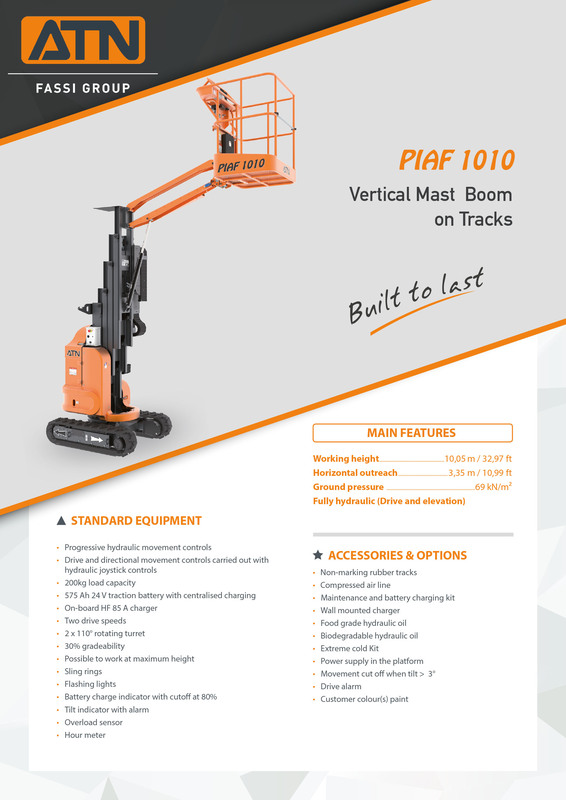 Electric vertical mast boom lift equipped with rubber tracks, with a working height of 10m and a lift capacity of 200kg. 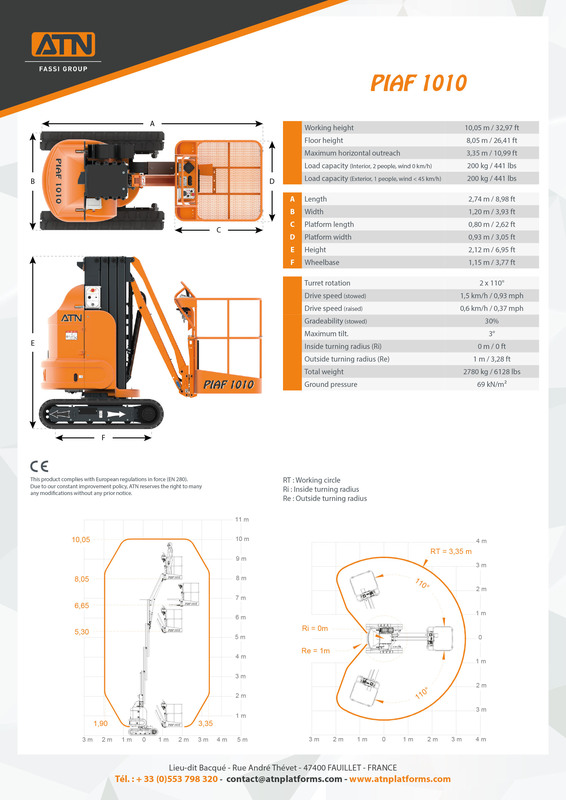 This lift is perfectly adapted to both indoor and outdoor use on all types of stabilised soil or rough terrain (fragile soil, flooring, tiling, marble, gravel, soil…) thanks to its low ground bearing pressure of 69kN/m2. Low ground bearing pressure of 69kN/m2 due to load distribution on the rubber tracks. Zero turning radius thanks to the tracks’ opposing movements. The turntable rotation of 2 x 110° and the 3.35m horizontal outreach allow anoptimal positioning in small spaces. The 575 Ah 24V battery with a centralised filling system gives an average autonomy of 8 hours. Drive possible with raised platform. Drive possible on 30% incline with stowed platform. The machine is completely hydraulic, no electronic card. Possibility to clean with high-pressure washer.